A bit of advice: When flying long distances, try and pick airlines that have newer fleets. US Airways may be integrating with American Airlines, but it’s not there yet. As a result, our flights from SFO to PHL and PHL to DUB were on old planes. The wine served on the PHL to DUB flight came out of a box and it felt like flying in the 1980’s! We landed in the city at 8:30 AM and found the local city bus would take into city centre and back to the airport for €10 per person. It’s not only a great deal but it lets you easily see parts of the city and then drops you close to all of the major hotels. Geography Note: The Liffey river runs through Dublin so if you’re staying near Trinity College, like we are, you’re south of the Liffey. St. Stephen’s Green, the National Museum and National Library are all south of the Liffey and right near Trinity College, while the writers’ museum and the spire (a giant pokey looking thing which will make parents cringe and think their kids eyes’ will get poked out) are north of the Liffey. 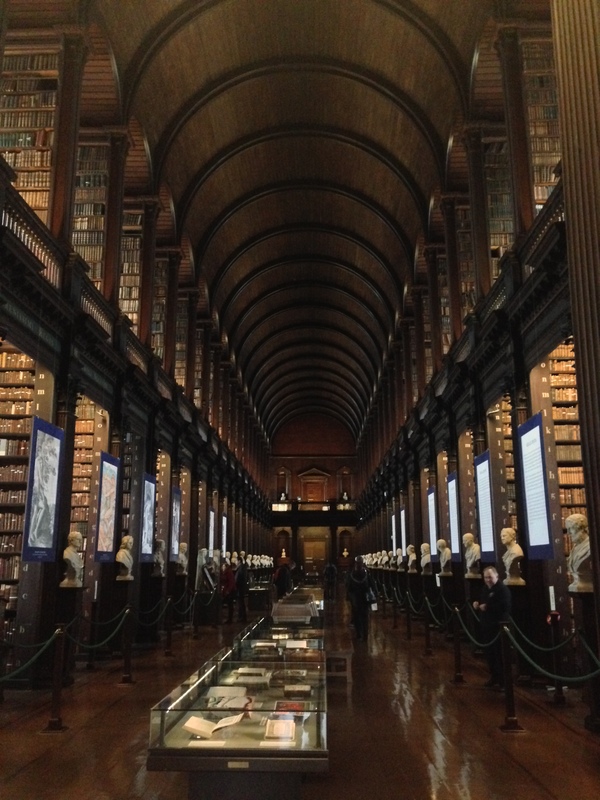 After checking into our hotel (the Westin Dublin) and taking a quick nap, we explored the Trinity College campus, the famed Book of Kells (no pics allowed, sadly), and the Long Room (a library composed of thousands of volumes from all over the world). Unfortunately, after the shots of Tullamore Dew, the Harp’s, the Bulmer Cider’s, and the other drinks I can’t remember buying, it all gets a bit hazy! 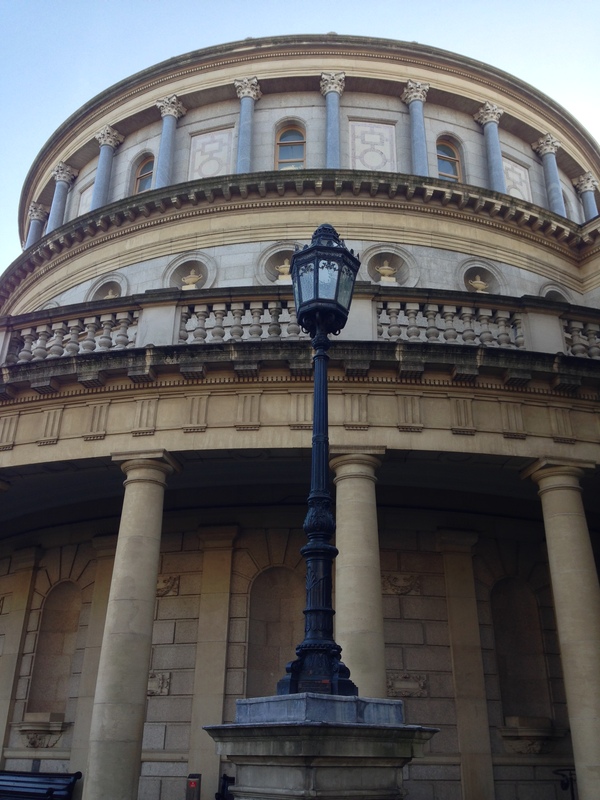 As a result of our wild first night, we decided to keep our activities focused to museums: the National Museum of Archaeology, the National Library, and the Writers’ Museum of Dublin. 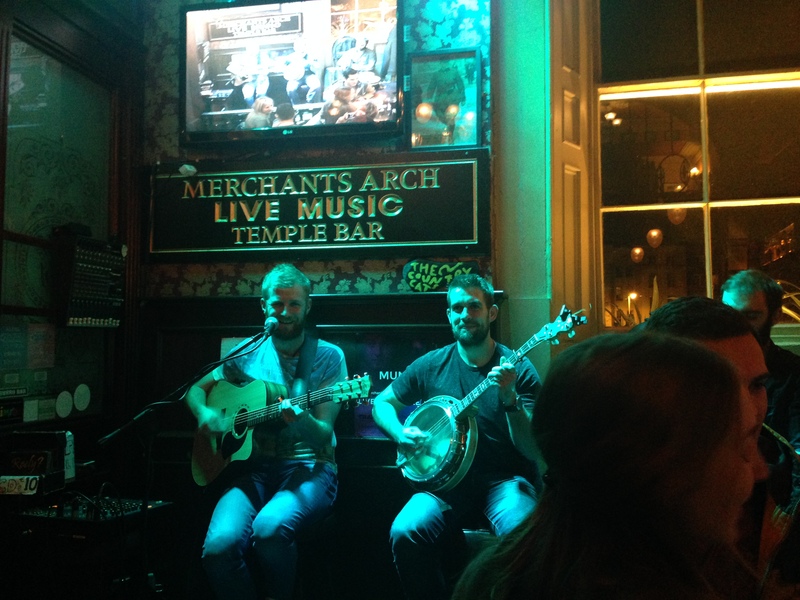 Each provided a nice perspective on Ireland, ranging from Brian Boru (the Irish leader who drove the Vikings out of Ireland) to James Joyce and William Butler Yeats. For dinner, we went to Crackbird, a restaurant whose amusing name won us over with promises of delicious chicken. There’s so many good jokes there related to the Irish concept of “craic,” which refers to the Irish concept of “news, gossip, fun, entertainment, and enjoyable conversation.” Words don’t do it justice but ask any Irish person what the “craic” is and a smile will erupt across even the most hard-nosed of demeanors. Crackbird has a fusion-esque menu with a slight Asian tilt and we had the buttermilk fried chicken (a half order is still huge) and the chicken brochettes (if you’re looking for healthier with a lemon-garlic flavor. 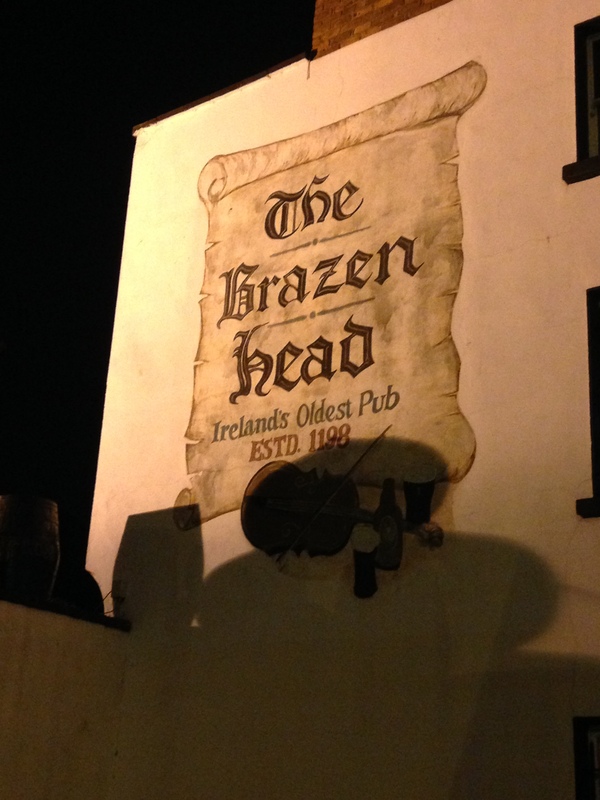 Afterwards, it was off to explore and have pints at the Brazen Head, Ireland’s oldest pub (open since 1198, according to their claims) before returning home to sleep. Oops. So we had to fork over an additional €200! Sadface, but frankly not really much of an argument considering the piece of mind it provides. If you have any insight on foreign car rental insurance, please leave it here too! 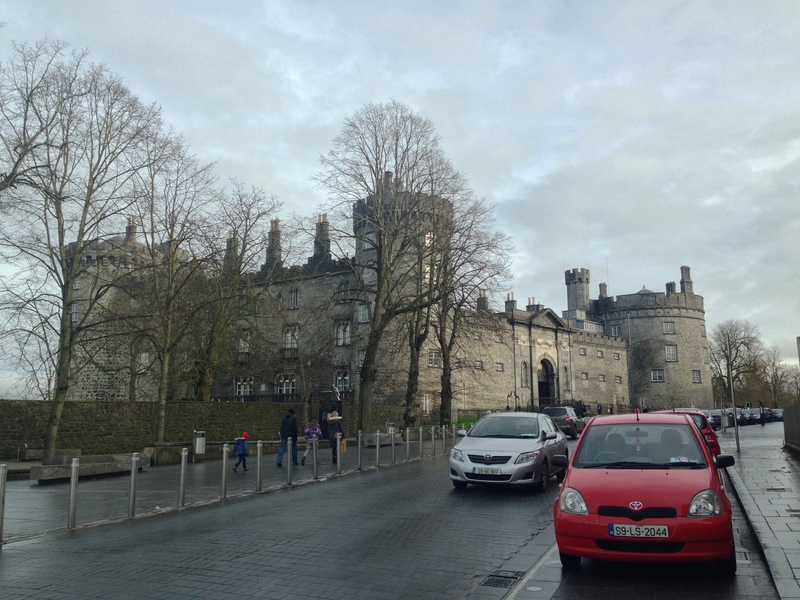 From there we drove to Kilkenny, where Kilkenny Castle is worth checking out. It’s got an art gallery that we didn’t actually visit (It’s roughly €20 per person to go in) but the grounds are beautiful to walk through and there is an artist collective across the street at which you can buy some great gifts for friends and family. It was here we discovered that many stores will offer you, the tourist, tax-free shopping. 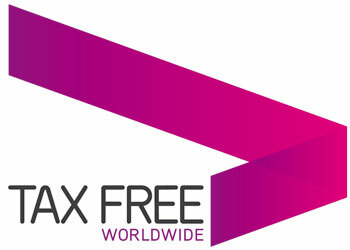 Some places will use the Tax Free Worldwide system or the Horizon card (see below for the symbols). The former will give you printed receipts which you need to fill out, whereas the latter is a swipe card, and the savings can be substantial (VAT can be 23%, so if you buy anything expensive, you will want to use either system). 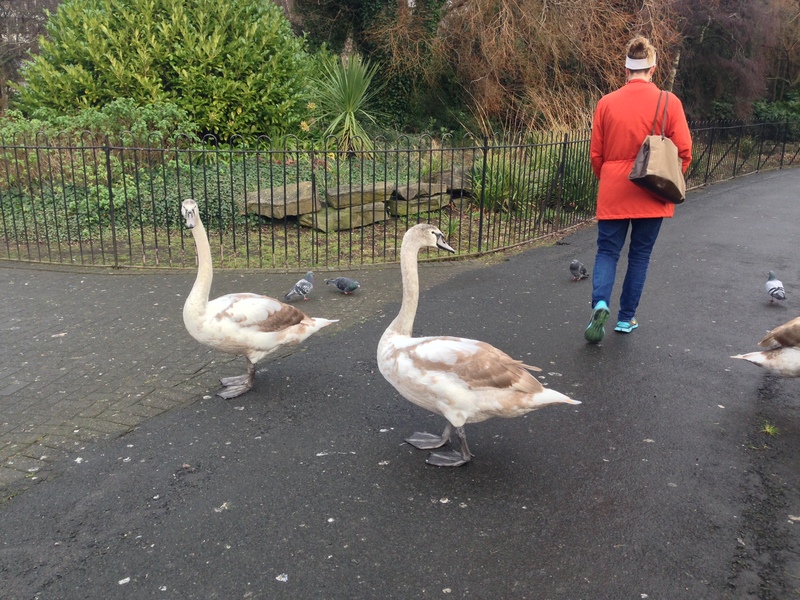 When you are ready to leave Dublin, you just take these to the airport and get your money back. Wham. Bam. Thank you ma’am. Our last stop of the night was the town of Cashel, where we stayed at Bailey’s Hotel Cashel. 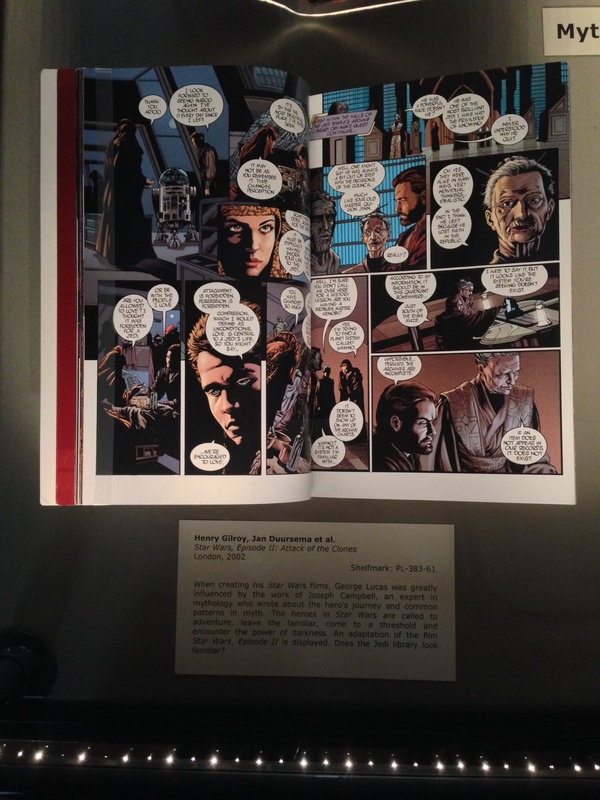 I’ll include links to my TripAdvisor reviews in my last post on the trip, but suffice it to say, have a drink in the hotel library – it’ll be a great way to unwind after a long day in the car. We met a couple who were there for the christening of their baby and the hotel staff treated us amazingly. They brought drinks to us while the four of us got to know one another and they were really chill about it. Highly recommended!